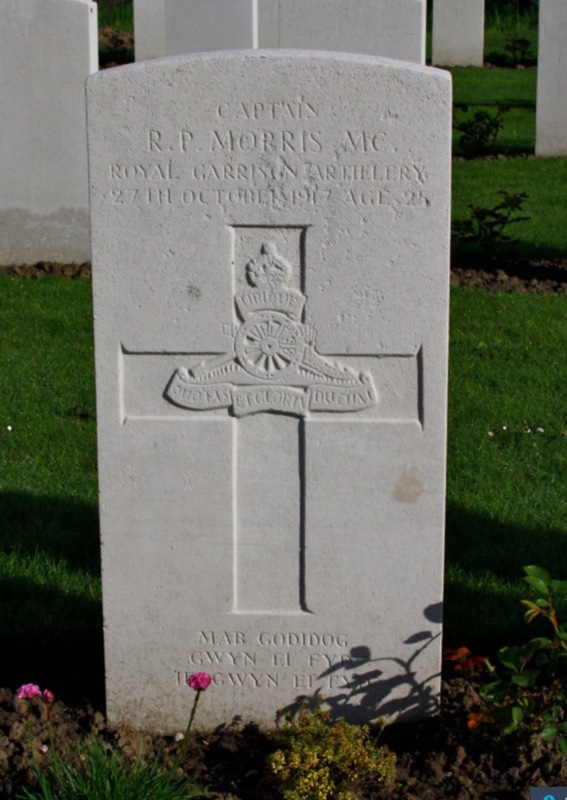 Three brothers from Wales, born in Colwyn Bay and living in Caernarfon at the outbreak of the Great War, all enlisted in the army: George Edward Morris (Eddie) and Robert Parry Morris (Bertie), who both later spent time in Bedford with their units, and their younger brother, Charles Robertson Morris (Charlie). 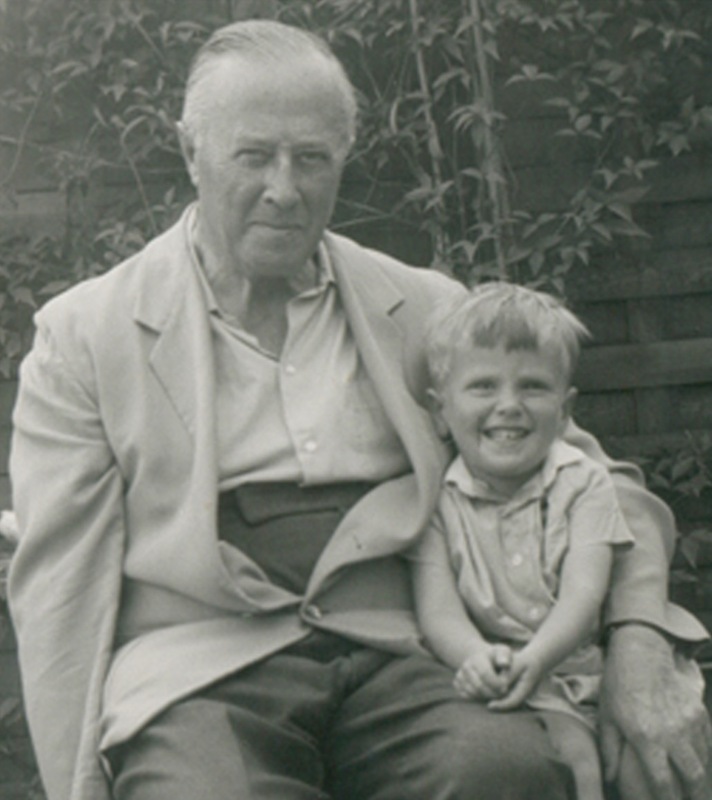 Their story is told in ‘WW1 Brothers in Arms’, a moving tribute by Eddie’s grandson, Will, armed with his grandfather’s earlier reminiscences and following painstaking and revealing research, which still continues. Bertie, a trainee solicitor, and Charlie, a 17 year old schoolboy who had to ‘revise’ his date of birth, enlisted together in the 16th (Service) Battalion of the Royal Welsh Fusiliers in December 1914. 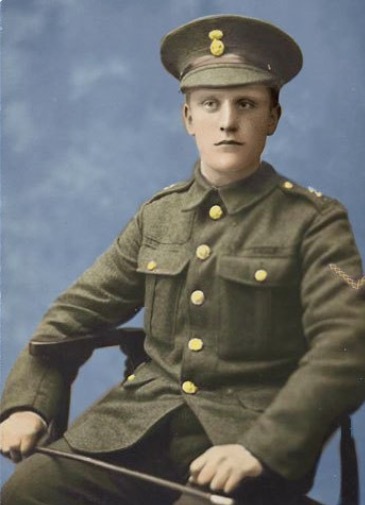 Eddie, training for bank management and following an operation for appendicitis, was appointed to a commission in the 6th (Carnarvonshire and Anglesey) Battalion of the Royal Welsh Fusiliers in June 1915, and as part of his training was then posted to the 2/5th (Flintshire) Battalion of the RWF stationed in Bedford. There is extensive information about the brothers’ war in Will’s website, but to give a brief outline by October 1915 Eddie was ready to join the Mediterranean Expeditionary Force in Gallipoli with the 6th Battalion of the RWF, attached to the 53rd (Welsh) Division. He left Bedford on 11 October and landed at Suvla Bay on 26 October. There is a vivid description of his experiences in the Gallipoli campaign in Brothers in Arms, including extracts from his notebook. But in November he became seriously ill with a re-infection arising from his appendix operation earlier in the year, was evacuated and eventually arrived at hospital in Liverpool to recover. He was declared ’unfit for service’ and relinquished his commission in April 1916. Bertie and Charlie were separated in January 1915 when Bertie requested a move to take a commission as a Second-Lieutenant with the Welsh (Carnarvonshire) Heavy Battery of the Royal Garrison Artillery. 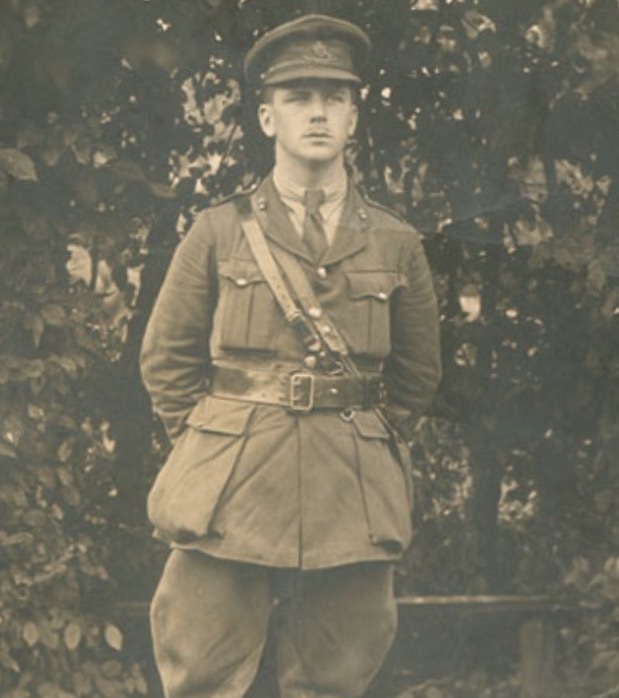 After training at Artillery School he joined the Battery, attached to the 53rd (Welsh) Division, in Cambridge and at some point moved to Bedford, and he would have been in Bedford at the same time as Eddie. Bertie was reported in the Bedfordshire Times and Independent of 9 July 1915 as singing in a concert on the evening of 5 July given by members of the 1/1st Welsh Carnarvonshire of the RGA in Mill Meadows for which there ‘was a large audience’. The Battery stayed in Bedford after the 53rd (Welsh) Division departed in July 1915 for Gallipoli. From Kempston, Bedford, Bertie moved with the Battery to Larkshill, then Woolwich and on to Southampton to sail for France, where they arrived in March 1916. The detailed description of Bertie’s time and experiences in France includes action near Vimy Ridge, many months on the Somme, Bertie’s promotion to temporary Lieutenant, his wounding in January 1917 and subsequent three months’ hospitalisation, his return to the front, and in June the award of the Military Cross for ‘conspicuous service in the field’ – the first member of the Battery to receive the honour. In the autumn of 1917, the Battery was ordered to leave its guns behind and to use those of the 110th Heavy Battery at Ypres, a place described by Corporal Llewellyn Edwards, one of Bertie’s men, in his memoirs as ‘the graveyard of British hopes’. The Battery took part in the 3rd Battle of Ypres, Passchendale, and sadly Bertie, then an acting Captain, was killed in action on 27 October 1917, aged 26 years. Bertie was remembered by Corporal Edwards as fearless and gallant and much respected by the boys, who could hardly believe that he and his cheerfulness had gone out of their sight forever. Bertie is buried in Bedford House Cemetery, Belgium. During his three years and 147 days in the army young Charlie never spent time in Bedford, but the story of these three brothers is not complete without his chapter. His Battalion as then part of the 113th Brigade of the 38th (Welsh) Division moved to Winchester in August 1915 for final training and sailed for France in December, moving after four months to the Somme. By June 1916 the Battalion had moved to Mametz Wood, taking part in the ferocious fighting that followed. 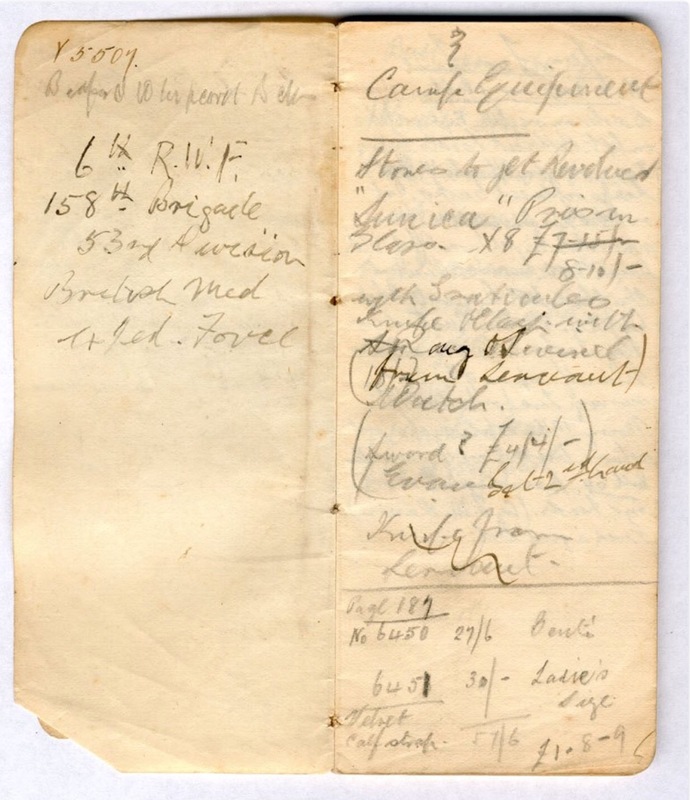 December 1916 saw the Battalion relieved and moved for rest, and Charlie managed some home leave. By January 1917 the Battalion was back north of Ypres and in March Charlie was promoted to Lance-Corporal. At the end of July, Charlie and the Battalion were amongst the men of five divisions poised for the attack to break out of the Salient. Charlie’s war ended on 2 August when he was among the men wounded during a German counter attack. He suffered a shrapnel wound to his chest and a gunshot wound to his shoulder. After initial treatment in France he was moved at the beginning of September to hospital in Newcastle, where he remained until the end of December and was subsequently discharged from the army in May 1918 being ‘no longer physically fit for War Service.’ By March 1919 his health had deteriorated and he was recorded as being ‘wretchedly ill, anaemic and wasted’, a tragic decline that continued until his death at home on 24 June 1920, aged 22 years, the local paper reporting his death from ‘wounds received in France.’ Charlie’s sacrifice was more recently eventually recognised by the Commonwealth War Graves Commission which has accepted him into its records. There is much, much more information about the three brothers and first-hand accounts of the actions in which they took part in Gallipoli and in France in the impressive Brothers in Arms website.